As a homeowner in Kansas or Missouri, it is critical to the life of your home that you regularly inspect your home and foundation. 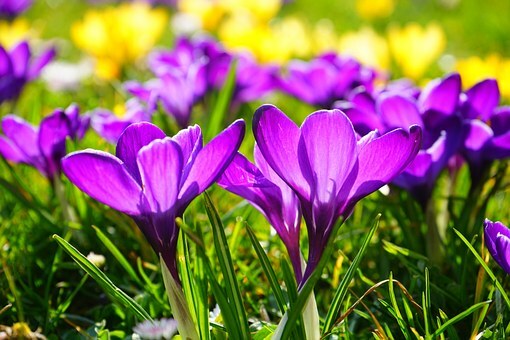 Damage to your home’s structure or foundation can appear at any time of the year, but Spring is when signs are most noticeable. In case you’re not sure what to look for, try following this Spring Home and Foundation Repair Checklist. Plumbing damage – Moisture is the biggest threat to the stability of your foundation. It’s a good idea for you or a plumbing professional to inspect your plumbing system for leaky or loose fitting pipes to make sure that there is no excess moisture damaging your foundation. Foundation damage – Look at the foundation itself. Have there been any changes? Are there signs of shifting, cracking, or discoloration? If something doesn’t seem right, call a foundation repair professional to inspect it for you. 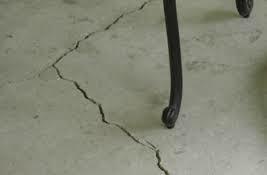 Cracked floors or walls – Take a tour of the rooms in your home and look for new or widening cracks in the floors or walls. These are visual signs that your foundation may be shifting. 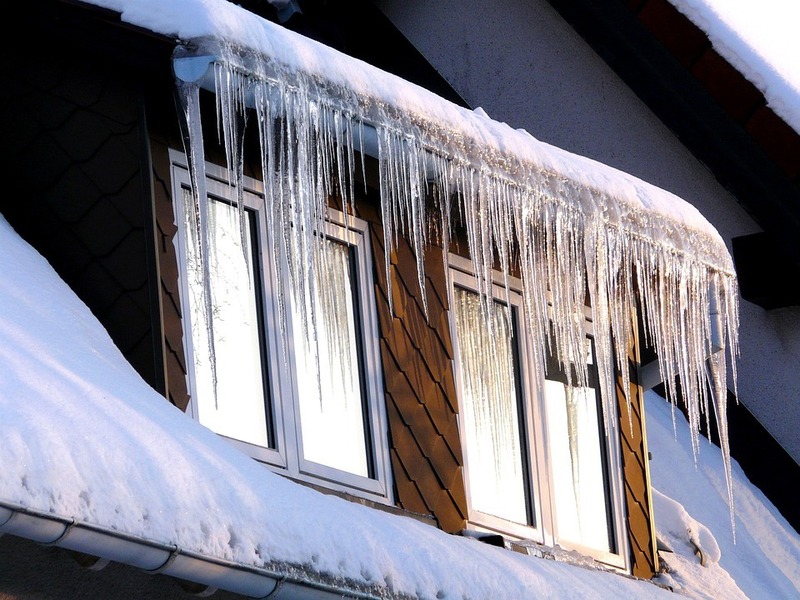 Roof leaks – Hire a roofing contractor to regularly inspect your roof for leaks or other conditions that may trap or release any excess moisture into your structure. Mustiness or bugs in the basement – Inspect your basement. If there are bugs or a musty smell in your basement, these could indicate a moisture problem or foundation damage. Insects, including termites and earwigs, thrive in a moist environment. If you suspect plumbing, interior, roof, or basement issues, you’ll need a professional to inspect and provide a solution to these problems. 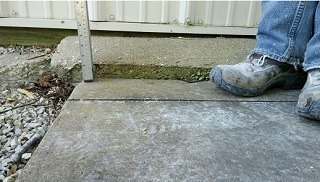 For cracks, tilting, or other common concrete problems on your patio, sidewalk, driveway, or foundation, Polyjacking.com is an expert at diagnosing and repairing concrete structures and foundations. Call us today! 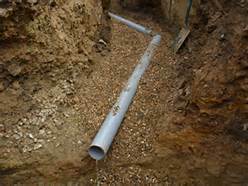 Whatever your drainage problems, it is often useful to call in an expert to diagnose and solve your water issues. If you have poor drainage from concrete surfaces or other issues with your concrete patio, driveway, sidewalks, or foundations, Polyjacking.com is the Kansas and Missouri expert at concrete leveling and repair. Call our experts anytime you need foundation leveling or repair. Most people don’t think their concrete slab can be repaired. And others do not want to make the necessary repairs. In reality, concrete is another maintenance project because it is susceptible to damage, especially when exposed to standing water. 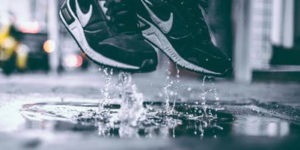 Every year, homes and buildings experience concrete slab damage due to heavy rainwater and flooding in the Kansas City area. 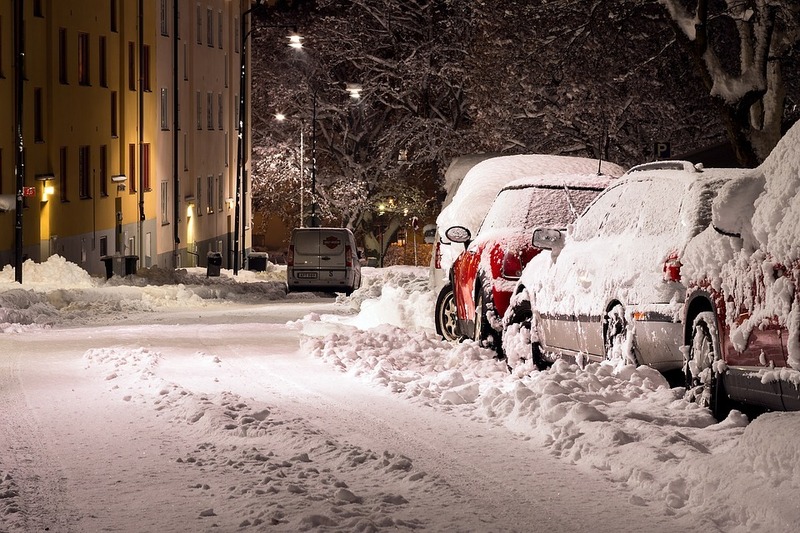 Such situations can have damaging effects on sidewalks, driveways, patios, walkways, concrete floors, and concrete foundations. The good news, however, is that concrete can be repaired. 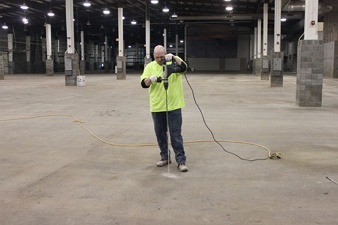 At Polyjacking.com, we make sound decisions and recommendations to solve your concrete slab problems caused by excess water. Concrete slabs are very porous. 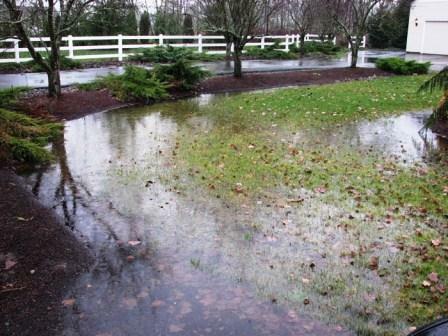 This means standing water can easily fill in pores on the surface and eventually break down the concrete. As a result, the concrete may crack, move, or even settle. Concrete cracks – Clay soil expands when wet, and contracts as it dries out. This constant fluctuation causes voids and holes under the concrete slab. As a result, the concrete surface sinks and forms cracks. 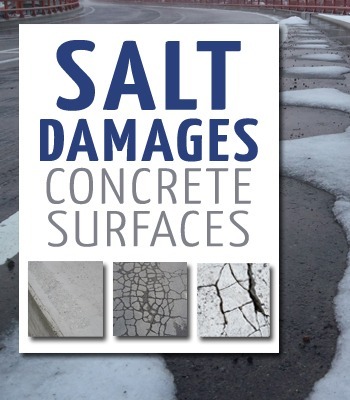 Uneven concrete or holes in the concrete – Concrete that is exposed to too much water, harsh weather elements, and other issues can cause soil expansion and movement under the surface. This creates uneven concrete, as well as holes in the surface. 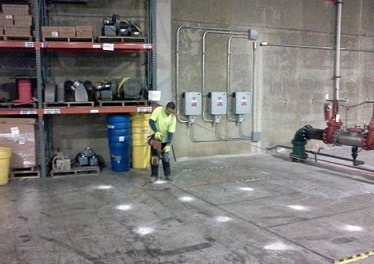 At Polyjacking.com, we provide repair services for your cracked and uneven concrete by injecting polyurethane beneath the concrete slab. Once injected underneath the slab, it fills in voids and raises slab to its desired level. It also seals cracks and joints underneath the slab, while stabilizing the soil to prevent future settlement. If you have damaged concrete slabs on your property, contact our concrete repair specialist today. 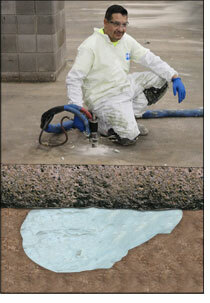 We use the latest concrete repair methods to restore your concrete. 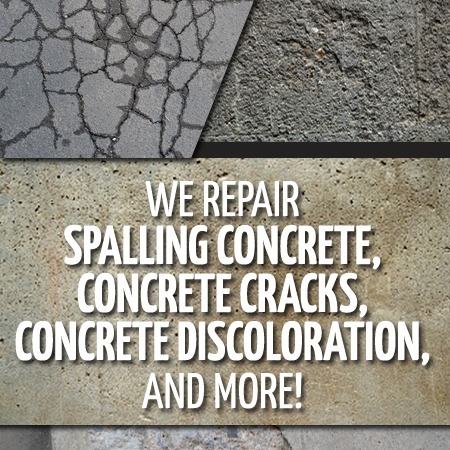 For concrete repair services in Kansas City, St. Louis, and the surrounding area, contact us today!